160% MATK damage & ATK, DEF, SPD 20% down for 3 turns to 1 enemy each with highest ATK, DEF, SPD respectively. 20% Earth MATK damage 15 times to all enemies. All allied heroes' MATK/MDEF up 15% for 5 turns. 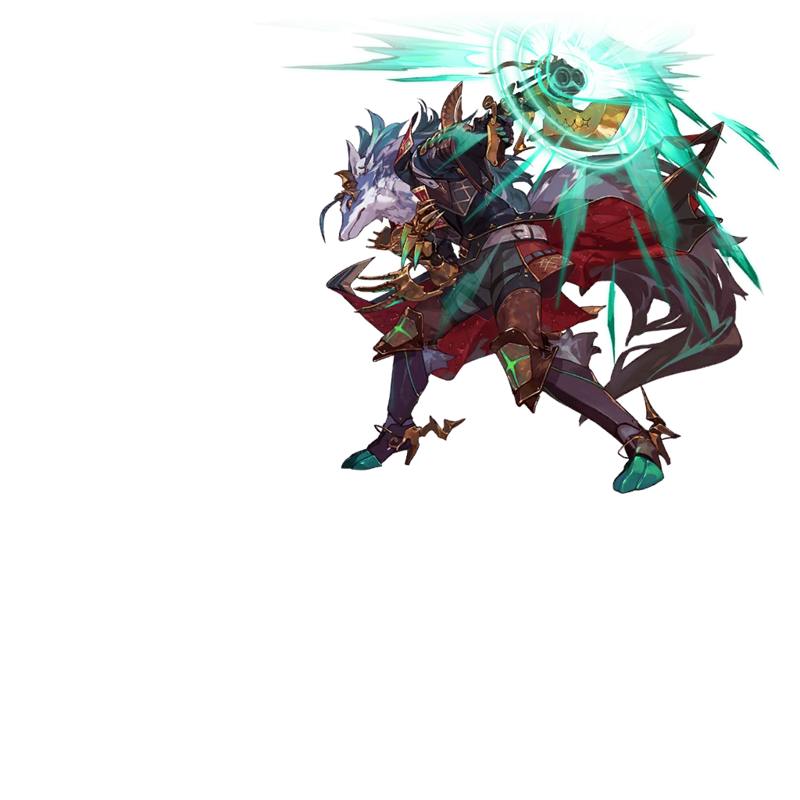 Noticed that his skill has stayed element neutral. All the awakened characters have moved to one element or another so far. O despertar dele virá em terra !! Terror de heróis de água !! Pelo que nota-se, o despertar dele vira em terra !! !